The fourth edition of the Somerset Sump Index consisting of a chronology and description of 50 sites in the area, 196 pages, 8 surveys. 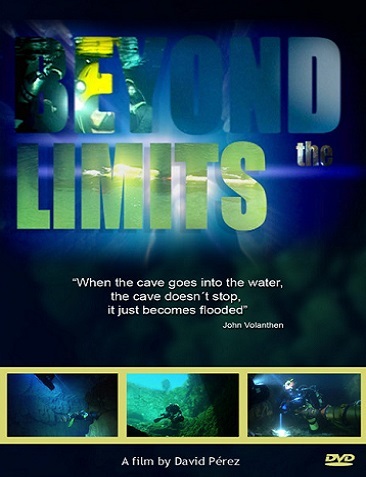 Edited by Mike McDonald & Duncan Price and published by the Cave Diving Group. A Glimmering in Darkness is the memoir of CDG founding father Graham Balcombe. Edited by Duncan Price and others it was published in the centenary year of his birth by the CDG. 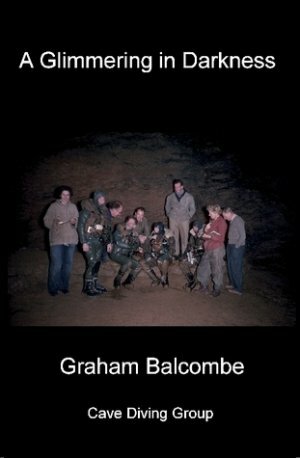 Graham Balcombe arguably “invented” cave diving in Britain. Balcombe and his friends – most notably Jack Sheppard – were keen cave explorers who adopted diving as a means of finding new territory. At the time, there were no training courses, no manuals, nor even readily available equipment. These they had to devise for themselves - a happy tradition that persists amongst the Cave Diving Group today. 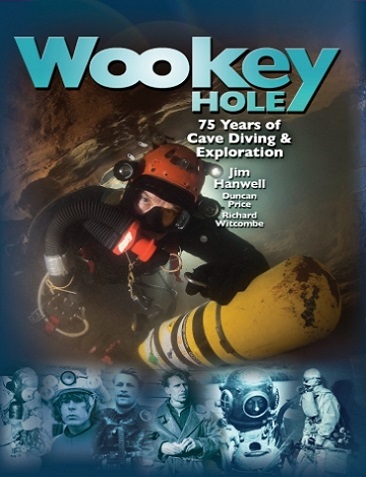 In the summer of 1935, a group of intrepid cavers mounted an assault on the famous show cave at Wookey Hole beneath the Mendip Hills in England. From an historical perspective, this was one of the earliest attempts by amateurs to explore underwater cave passages using diving equipment. Self-contained underwater breathing apparatus was in its infancy and not available to them, so they had to adopt bulky base-fed standard diving dress. 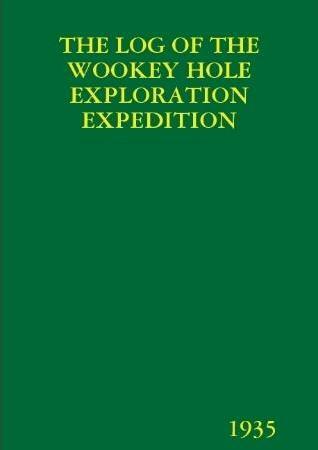 The results of their work were published in the grandly titled 'The Log of the Wookey Hole Exploration Expedition 1935' which was prepared and printed privately by the leader of the venture, Graham Balcombe. 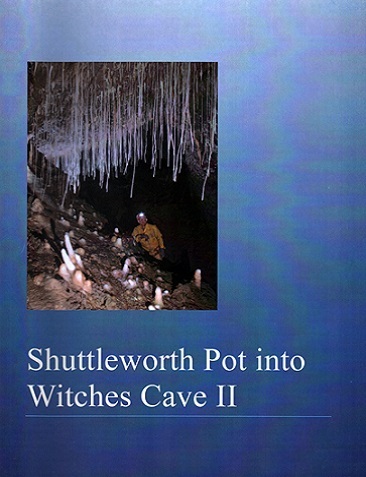 The story of the discovery and excavation of an accessible route into the passages beyond the sump in Witches Cave. Includes a description of the exploration of this important system in 67 pages and an A1 survey. An award winning film (2010 BUIF- Professional DVD - 1st prize) by David Perez, 35 (quality) minutes, Spanish and French subtitles. Pozo Azul is a large cave resurgence in Northern Spain. 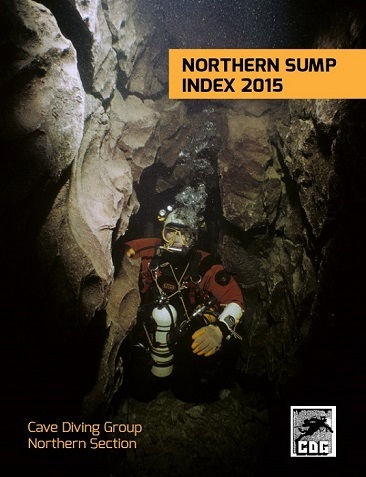 Since 2001 a British lead team has systematically explored and extended the immense Sump 2. Each expedition has required innovative modifications to rebreathers, DPV's and habitats to enable exploration to progress. The video covers the 2009 explorations at Pozo Azul, when the 5160m long 2nd sump was finally passed. This involved dive times in excess of 12 hours. 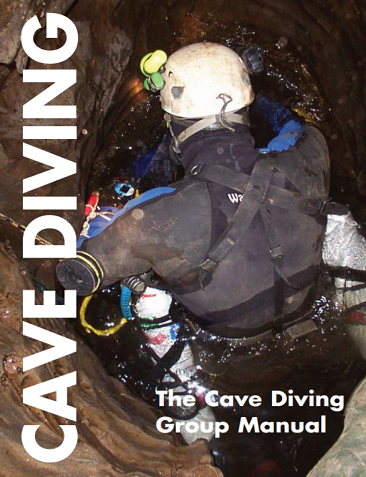 The contents of this manual are the distillation of the CDG’s knowledge of UK cave diving which is the result of its’ history that can be traced back to the earliest dives at Swildon’s Hole in 1934 by G. Balcombe and J. Shepppard. 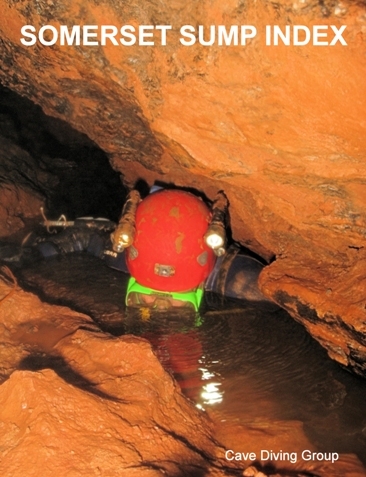 Focusing mainly on side mount techniques currently used in UK cave diving. 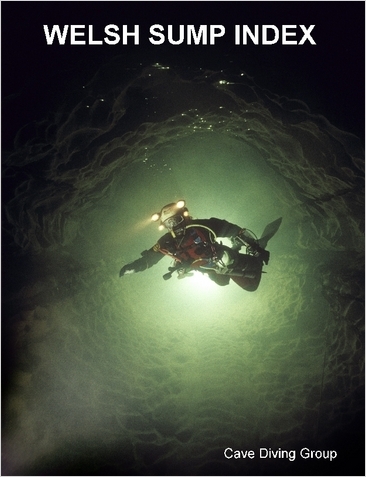 The manual also introduces techniques used farther afield such as backmount configurations, rebreathers, scooters and habitats.